Offering this very nice, clean No. 4 size (9" long) (smooth bottom) smooth plane retaining about 70% of it's original paint intact. This plane is in very good working condition with nice solid rosewood handle and front knob. The tote or handle has has some repairs done on it over the years, we note 4 pin holes on the top with a good repair to one crack near the top. We also note another good repair of a crack near the bottom, the handle was removed and tested, all in one piece, solid repairs and very strong. We also not a past owner's name neatly stamped on both side of the tote. The front knob has minor wear, a few small dings and scratches very solid. Both are nice looking, nice smooth finish, functional. 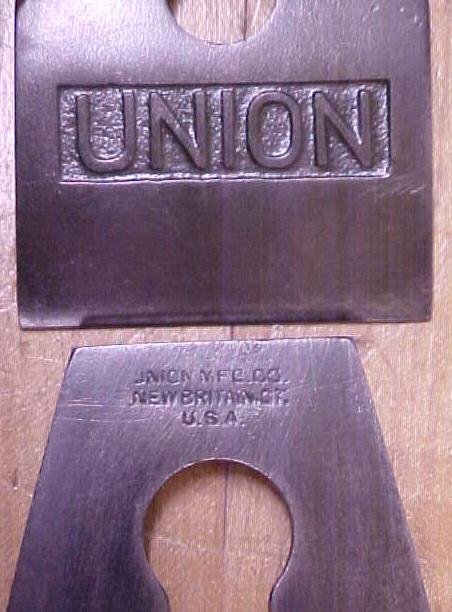 This plane cutter iron is 2" wide, and marked "UNION MFG. CO. NEW BRITAIN CT. U.S.A." on the cutter. There is no cracks in the metal castings, little wear, a few edge dings, minor scratches, some tiny pitted specks on one side, with very minor pitting on the bottom. The bottom is clean, flat and smooth, no rust, very clean. There is plenty of length on the sharp cutter, and all the adjustments work smoothly. This one has a good cast cutter frog, very sturdy, and both cutter depth adjustment, and lateral adjustment, a very nice cap cover is also marked "UNION" in cast lettering on it! The quality of this plane is comparable to Sargent or Stanley, made to last a life time and then some! 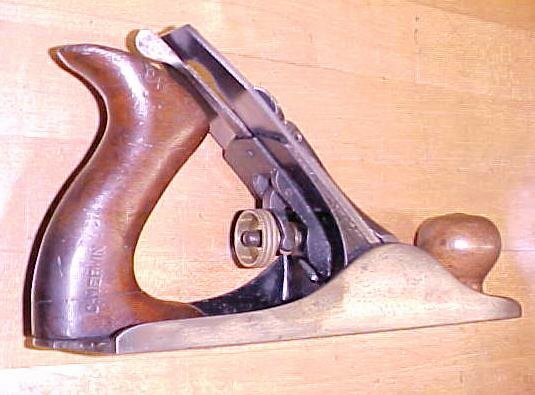 A very nice smooth plane, well preserved, and in very good working order! 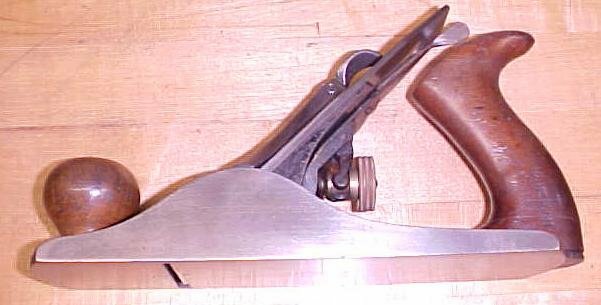 Items Similar To "Union Smooth Plane No. 4 Size"